Building a home gym, or at least adding a piece of equipment, can be really exciting. I’m actually in the process of clearing out my garage right now to do this exact thing! One of the first things I want to put in there is a good treadmill. But the one thing I find myself wondering is: How much does a treadmill cost on average? The answer is that there’s an ENORMOUS range of prices. You can get a basic, manual treadmill for your home gym as cheap as $100, or you can get a high-end commercial treadmill that costs nearly $10,000. But I would say the average price of a pretty good, reliable, and full-featured treadmill will be around $1000 or so. 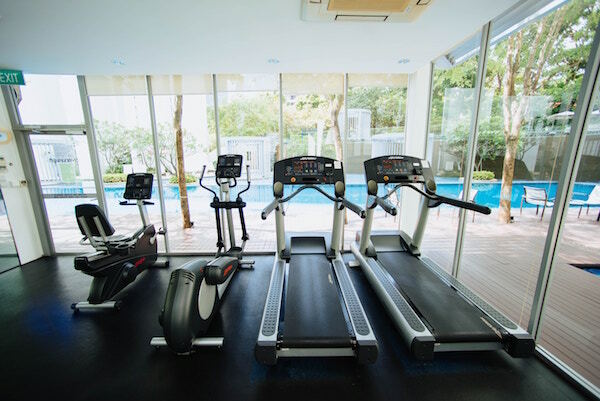 Let’s take a look at some of the features and other factors that affect what you should expect to pay to buy a treadmill. 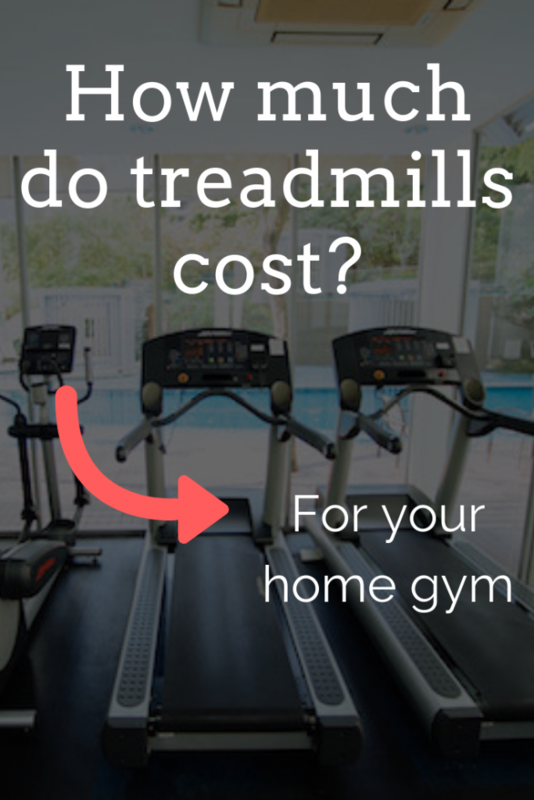 What affects the cost of a treadmill? Like I said, there’s pretty much an infinite range of how much treadmills can cost you. And it really all depends on a few key features, which treadmill brand you’re buying, and some other big factors. Chances are when you think of a treadmill, you’re thinking of the kind of treadmill you’d use at the gym. You know, one that plugs into the wall. You push a button, pick your speed, and you’re off and running. You can also buy a manual treadmill, meaning one that doesn’t have a motor or flywheel. Manual treadmills are essentially just rubber belts placed on a slight incline. You walk and push the belt back at your own pace, requiring no electricity. These aren’t great for high-intensity cardio workouts, but if you just want to be able to do some leisurely walking at home, you can get a manual treadmill for around $100. Treadmill top speed can be a really tricky trap for some buyers. Not all treadmills are great for sprinters and runners! If you find a deal on a good-looking treadmill that seems too good to be true, it could be that its max speed is low (under 10-12mph). If the top speed on a treadmill is under 10 or 12mph, it might not be a great fit for sprinting. Especially if you’re tall. However, if you just want your treadmill for brisk walking, this might be a great way to save some money. This is another area where the elite, high-end treadmills separate themselves. A lot of treadmills will have an incline function, but the degree of incline is a big differentiator and can drive cost up significantly. Good home treadmills can usually incline up to somewhere around 15-20 degrees. Cheaper models will sometimes only incline a few inches off the ground. Again, based on your training needs, this could be an area to save some money on a treadmill. Treadmills are BIG. And HEAVY. If you buy from Amazon or from the manufacturer, you can often pay extra for in-home delivery, meaning the delivery team will bring the box into your house or apartment and put it exactly where you want it. You can also spring for expert assembly in some cases, and have someone handy put the whole thing together for you. Obviously, these add-ons will drive the cost of your treadmill up by a few hundred dollars if you choose them. Alright, so that’s all great in theory. But how much do real treadmills actually cost? 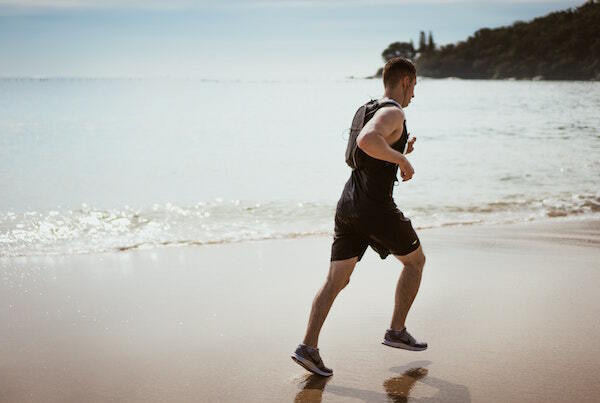 Here is a sampling of about a dozen of the best-selling consumer treadmills on the market and what they cost if you buy them straight from their manufacturer. I also threw in a couple of super inexpensive and mega-high-end options for comparison, as well. As you can see, a basic manual treadmill for simple walking can run you $140 or even less. If you’re an elite athlete training for competition and want a commercial-grade machine, you could easily spent over $5,000 on a treadmill. But I really think most people can get a good all-around treadmill for $800-1200 depending on which features you need, how much speed and incline you want, and whether you’ll spring for extra delivery and set-up services. What’s the cheapest treadmill you can buy? You can get a solid, manual treadmill by Fitnessclub for a very affordable price from Amazon. I can’t say for sure it’s the cheapest treadmill on the planet, but it sure has to be close. Keep in mind, it has almost no features and may be a little awkward and limiting to use. But it’s easy to set up, folds away, has a high weight capacity, and should work just fine for really casual walking workouts at home. What’s the best treadmill for the money? I always recommend the Nordictrack C990 treadmill as the best overall treadmill for the money. This one comes highly recommended by The Wirecutter (New York Times company) after 45 miles of rigorous, hands-on testing. How much does a used treadmill cost? Should you buy a used treadmill? So let’s say you really like one of the more robust, high-end treadmills, but just don’t have the budget right now. 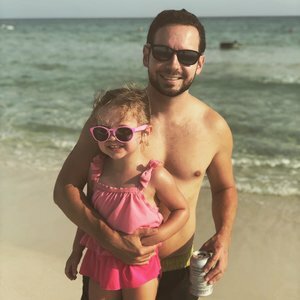 Is going used a good option? You can definitely save yourself a lot of money picking up a used treadmill from Craigslist, eBay, LetGo app, and other places. You can even peruse garage sales and negotiate in person. Based on everything I’ve seen, I’d expect to pay around half of the retail price for a used treadmill that’s been kept in relatively good condition. Although that’s simply my observation based on the listings in my area. It all depends completely on each individual seller. It’s really hard to tell how well-cared-for a treadmill is. If you can only see a few pictures online, you have no way of knowing if it runs properly or desperately needs some maintenance. If it’s an older model, the warranty could be expired as well. Of course, you can go check it out in person before you commit to the sale, but at that point you’re trading time for money. Some people might see it as a good thing to buy a treadmill that’s already assembled, but if you don’t have access to a huge truck, it could be a problem to transport. You may have to hire a mover or rent a truck to get it in your house, which adds to the cost and offsets all of the savings you thought you’d enjoy. Remember, treadmills weight over 200lbs in most cases and call be very tall, so you’ll need a big truck and a team of people to move it. Plus, a plan for getting it into your house if it won’t fit through the door! Assuming you want a full-featured treadmill, meaning one you can run/sprint on and that has a respectable level of incline, you can probably get one new starting at around $800 or so. The average price of a new treadmill will probably be closer to $1000. And then, of course, the more features and quality you want, the price can go as high as $10,000 or more! On the other end, you can get a manual walking treadmill for around $100-150. They’re very limited, but the price tag and investment is cheap. You always have the option of going used to save some money, or around half of retail price more or less. But there is more risk involved with a used treadmill that may be worn down and require more maintenance. I always tell people that one of the best all-around treadmills for the money is the NordicTrack C990 (Amazon). Hopefully that’s a good starting point for you on your journey.